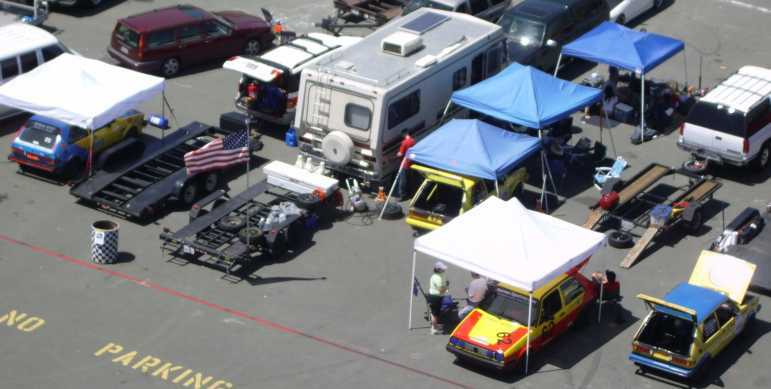 The third event of the 2006 season found Shed Racing at NASA's April 29-30 event at Sears Point International Raceway, in the GTI Cup class. 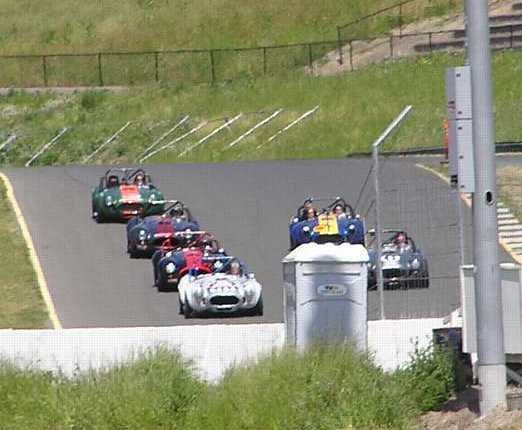 There were 4 cars in class this weekend, with Tom Aiken picking up the driving duties Saturday, and Ron Swett driving Sunday. Scott of Miller Motorsports showed up both days to help out. 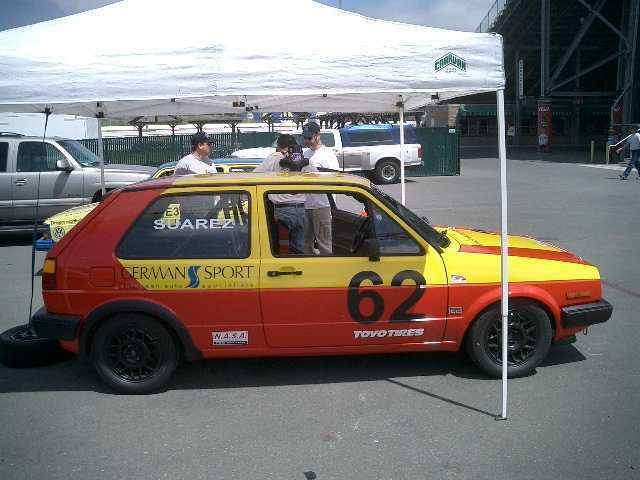 Other competitors included Scott Neville, Carlos Suarez, in his newly painted A2 GTI and newcomer Tom Chandler in his first race. 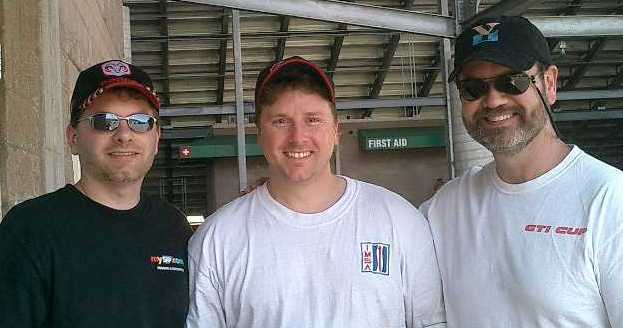 Tom purchased the 2005 25 Hours of Thunderhill winning GTI from Carlos. At the end of the warmup session, Tom noticed the car would not idle, and was running poorly at low RPM. A quick investigation uncovered a huge vacuum leak, which upon initial investigation seemed to be coming from the intake manifold gasket. Ron had the intake manifold off earlier in the season, to install a new exhaust, and it was assumed that the bolts had loosened and caused the gasket to fail. Scott miller was dispatched to the nearest auto parts store to source a replacement gasket, while Tom and Ron began taking things apart to remove the intake manifold. Despite the best efforts of Tom and Ron, the time came for the qualifying session, and the 43 car was still in pieces. While Scott was at the parts store retrieving a new gasket, Tom and Ron got the intake manifold removed to discover the gasket intact. Carlos came over and noticed one of the fuel injector sleeves had come loose from the cylinder head, causing the leak. With some mild swearing, Tom reinstalled the sleeve, with a light coating of silicone sealant on the threads. Ron took the opportunity to check the remaining three injectors and found 2 more that were not tight. All were resealed with silicone, and reseated in the head. Once back together with the new gasket, the car fired right up and idled as normal, but the too late to make the qualifying session. Shed Racing had missed their first track session ever. Qualifying results put Scott Neville on the pole with a 2:06.2, followed by Carlos with a 2:06.5. Tom Chandler improved greatly over the morning session, turning a 2:15.3. Tom would grid fourth with no qualifying time. The race started with Scott settling into an early lead, closely followed by Carlos, with Tom and Tom side by side going up the hill. A faster GTS class BMW passed them both, putting Tom Chandler out of position going into turn 3, allowing tom to move into third. The race was fairly uneventful, with Scott and Carlos swapping the lead a few times, but slipping away from Tom. Tom Chandler slipped back a bit, running conservatively in his first race. Scott finished first, with a best lap of 2:07.1, Carlos finished Second with a 2:07.0, Tom rounded out the podium with a 2:08.6, with Tom Chandler in fourth with a still improving 2:13.9. Tom returned home after the awards presentation. Sunday saw Ron at the wheel of the Shed Racing bunny, with Scott Miller acting as interim crew chief, and Ron's son Jason helping out. The day started sort of badly with Ron reporting a strange feeling on the right side after practice, and Scott finding the sway bar really loose and the camber adjustment bolt loose. 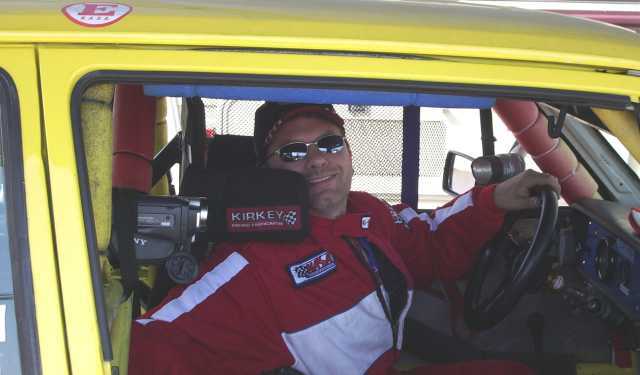 Scott not having a clue how to work on a GTI cup car didn't help much in setting the camber, but things were corrected quickly. Carlos set the fastest time in practice with a 2:05.6, followed closely by Scott Neville with a 2:07.0, Ron with a 2:07.8 and Tom Chandler with a 2:19.4. They chased car setup all day, never really getting the tire pressures right, and probably not getting the camber right with their hasty repairs, and despite a beautiful lap in qualifying to take the Pole, Ron faded to 3rd in the race with a car that wouldn't turn right. Carlos hauled off to an enormous lead, and Ron was fairly close to Scott until mid race when the car went off. That rounded out the weekend with a pair of podiums for Shed Racing. 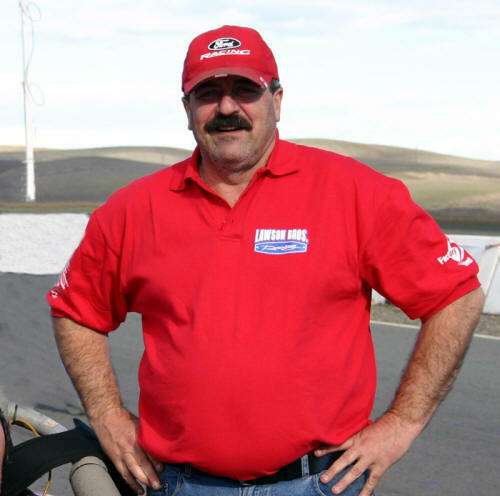 On a sadder note, Factory Five Challenge NorCal director Dan Lawson was killed in a racing accident at Buttonwillow April 8, 2006. Dan's fellow Factory Five racers did two formation laps just after lunch in Dan's memory, culminated by racer Donnie Edwards doing a major smoke show on the Infineon logo inside turn 11. Rest in peace Dan. Donnie Edwards pays his respects to a fallen racer.